Well, well. Jeff Rubin, the Globe’s resident energy pessimist, latched on to the same WikiLeaks revelation that I did: the former head of the Saudi oil company, Aramco, told the U.S. embassy that the company has been overstating its estimated oil reserves by around 40 percent. This means that Saudi Arabia is running at maximum oil production now, and has little to no room to maneuver to meet any increase in demand. That is a pretty harsh brake on world economic growth. force their populations to reduce driving, use less electricity, and pay an extremely steep increase for what they do consume. 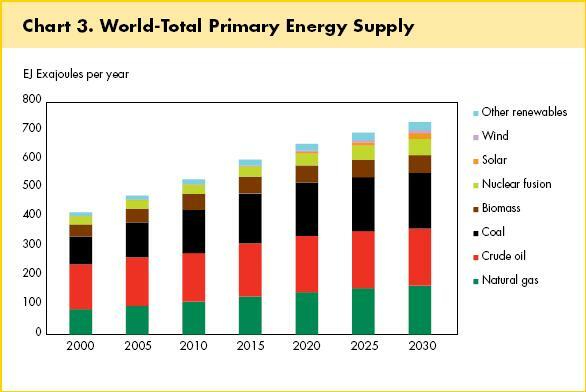 There will be a massive, decade-long economic slowdown, and geopolitical power will shift dramatically to energy-producing nations, the company said. 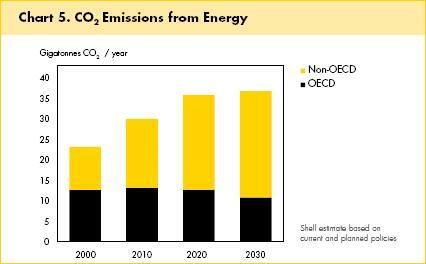 Shell envisions carbon emissions levelling off around 2030 while burning of fossil fuels continues to climb. The secret ingredient is carbon capture, in which CO2 emissions are either pumped into geological or underwater formations, or else mineralized, instead of being dumped into the atmosphere. Doing this with existing coal-fired plants requires expensive retrofitting and transport of the waste carbon, while new plants would likely be built as close as possible to a storage location. In either case, the efficiency of power generation goes down and the price of the energy goes up. What’s more, none of this is likely to happen before a price on carbon, routinely demagogued as “cap and tax”, starts making us deal with the real costs of our activities. I’m afraid the greediest and most short-sighted among us will just have to be mugged by reality before we see any real action.